GRENFELL, WILLIAM HENRY, BARON DESBOROUGH (1855-1945), athlete, sportsman, and public servant, was born in London 30 October 1855, the eldest son of Charles William Grenfell, M.P., of Taplow Court, Buckinghamshire, by his wife, Georgiana Caroline, daughter of William Saunders Sebright Lascelles, son of the second Earl of Harewood [q.v.]. His great-grandfather, Pascoe Grenfell, (q.v. ], was at one time member of Parliament for Great Marlow, a constituency which 'Willy' Grenfell was himself to represent a hundred years later. At. Harrow he was, as a redoubtable bowler, in the cricket eleven (1873-4), and he also excelled in the school sports. In due time he went up to Balliol College, Oxford, of which in 1928 he was elected an honorary fellow; he graduated in 1879 and in 1938 he received the honorary degree of D.C.L. from the university. When Grenfell left Oxford he was invited to stand for Parliament as a member for Salisbury. He came of Liberal stock with a long Whig tradition behind him and he was elected in 1880. In 1882 he was appointed a parliamentary groom-in-waiting; but this involved a by-election and by a narrow margin he was defeated. He was returned, however, at the next general election in 1885 and was private secretary to the chancellor of the Exchequer, Sir William Harcourt [q.v. ]; but on the defeat of Gladstone over the first Home Rule bill in 1886 Grenfell lost his seat again and, although he was candidate for Windsor at a by-election in 1890, it was not until 1892 that he was returned as a Gladstonian Liberal for Hereford City. But he was unable to accept Gladstone's second Home Rule bill and he preferred to resign rather than support it. 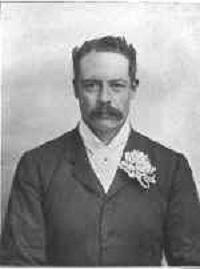 He did not stand again until he won the Wycombe division of Buckinghamshire as a Conservative in 1900. In 1905 he was raised to the peerage as Baron Desborough, of Taplow, a title which he took from the old hundred of Desborough in Buckinghamshire. On the surface such an outcome seems. to be a great disappointment to what was acclaimed as a promising parliamentary career. But the bare recital of Desborough activities and achievements is extremely impressive. He filled almost all the offices in local government and local justice which were open to him in Berkshire and Buckinghamshire, and it has been calculated that at one time he was actually serving on no fewer than 115 committees, where his services were recognized as of real value. His appointments show his true bent for public duty, including as they did the chairmanship of the Thames Conservancy Board for thirty-two years; of the special committee of the London Chamber of Commerce which successfully opposed the Declaration of London in 1911; the presidency of the London Chamber of Commerce and of the British Imperial Council of Commerce. His duties took him to Toronto in 1920 to attend the ninth congress of the Chambers of Commerce of the British Empire and. this may have inspired the offer made in 1921, but declined for family reasons, to become Governor-General of Canada. He was also chairman of the Home Office committee on the police of England, Scotland, and Wales; in 1923 president of the international navigation congress in London, and in 1925 president of the Royal Agricultural Society. During the war of 1914-18 he was president of the Central Association of Volunteer Training Corps which passed more than a million men into the regular army and was eventually taken over by the War Office. In 1915 he represented the minister of munitions in France, selecting and recalling workmen for key positions in the war effort; in addition he administered a naval hospital at Southend and turned his own house at Taplow into a rest home for nurses. To most of his countrymen Desborough's name was known as that of a man with an extraordinarily wide range of activities. Without his genial and friendly manner and without his example no one could have handled men as he did. He could speak in public with ease, and his unprepared speeches were both good and amusing. He looked, in his young days, the ideal athlete, and in the field of sport and athletics, by land and by water he held a place unrivalled by any of his contemporaries. Only a happy and resolute nature could have made so much out of the hours of each day. Whilst at Oxford he rowed in the dead-heat race against Cambridge of 1877, and in the following year, when he was president of the University Boat Club, he was in the crew which won by ten lengths. He was also president of the Oxford University Athletic Club, and it is believed that no other man has been president of both clubs. Further, he combined these exertions with the mastership of the university drag hounds. Outside Oxford he won the Thames punting championship for three successive years (1888-90) and then retired unbeaten; he stroked an eight across the Channel; with two others he sculled the London-Oxford stretch of the Thames in twenty-two consecutive hours, and when he was a member of the House of Commons he rowed for the Grand Challenge Cup. Small wonder that he was for many years a steward of Henley regatta. He twice swam Niagara, crossing the pool just below the falls in the supposedly calm water between the thundering, falls and the undertow. In the Alps he had remarkable success: he ascended the Matterhorn by three different routes, and, in one long vacation, within eight days climbed the little Matterhorn, the Matterhorn, Monte Rosa, the Rothorn, and the Weisshorn. On one occasion in the Rocky Mountains he was lost when his companion strayed from the camp and perished. Although not a regular soldier he saw active service as a special correspondent of the Daily Telegraph in the Suakin campaign of 1888, when not only was he under fire but at one time found himself confronted by the advancing enemy, alone, and with no better weapon in his hand than an umbrella. At Taplow he kept his own harriers which had formerly been King Edward VII's, and point-to-points played a great part in his life. He loved 'the hill' and stalking in Scotland, fishing in many countries, big-game hunting in the Rockies, in India, and in Africa, and he caught a hundred tarpon off the coast of Florida. He greatly encouraged fencing in this country and was president of the Amateur Fencing Association from its foundation until 1926. In 1908 he was president of the Olympic games held in London. An excellent whip, he was president of both the Coaching Club and the Four-in-Hand Club, being proud of his team of bays. He was also in his time president of the Marylebone Cricket Club and the Lawn Tennis Association, president and chairman of the Bath Club from its foundation in 1894 until 1942, and chairman of the Pilgrims of Great Britain from 1919 to 1929. While still a young man Desborough was known and loved by many, and his strong literary and artistic sense made a wide appeal. Many distinguished friends relied upon the wisdom of his judgement. To friendship and good sense he added executive capacity. 'Willy' Grenfell was a man who was able 'to get things done'. He married in 1887 Ethel Anne Priscilla (died 1952), daughter of Julian Henry Charles Fane [q.v.). They had three sons and two daughters. The two eldest sons (the eldest was Julian Grenfell,(q.v.) were killed in action in 1915 and the third son who was unmarried died in 1926 as the result of a motor-car accident. The peerage therefore became extinct when he died at Panshanger, Hertford, 9 January 1945. His elder daughter is the wife of Marshal of the Royal Air Force Sir John Salmond, and the younger is the Viscountess Gage. Desborough was appointed C.V.0. in 1907 and advanced to K.C.V.0. in 1908 and G.C.V.0. in 1925; and in1928 he was admitted as a knight of the Order of the Garter. From 1924 to 1929 he was captain of the Yeomen of the Guard. In the possession of the family there are portraits of him by Ellis Roberts and Sir A. S. Cope, and a drawing by J. S. Sargent. [Private information; personal knowledge.] Monica Salmond.